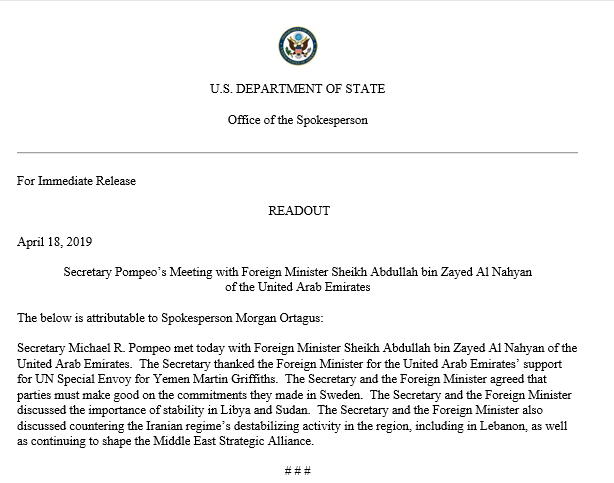 Today, @SecPompeo welcomed #UAE Foreign Minister Sheikh @abzayed to the @StateDept. 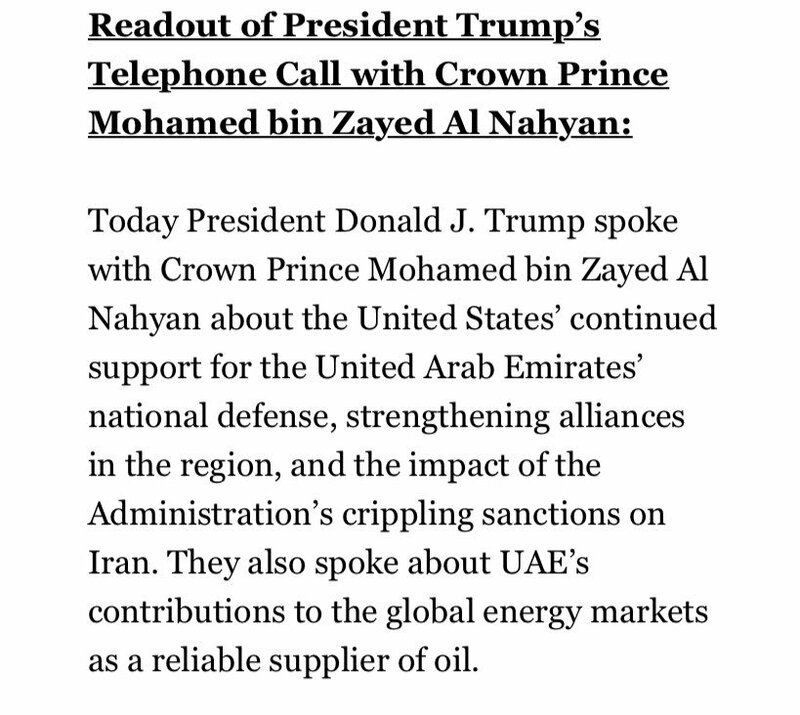 There was a phone call today between @POTUS and #UAE crown prince, according to the @WhiteHouse. It's pouring on the #UAE roads today. Stay indoors. Stay safe. 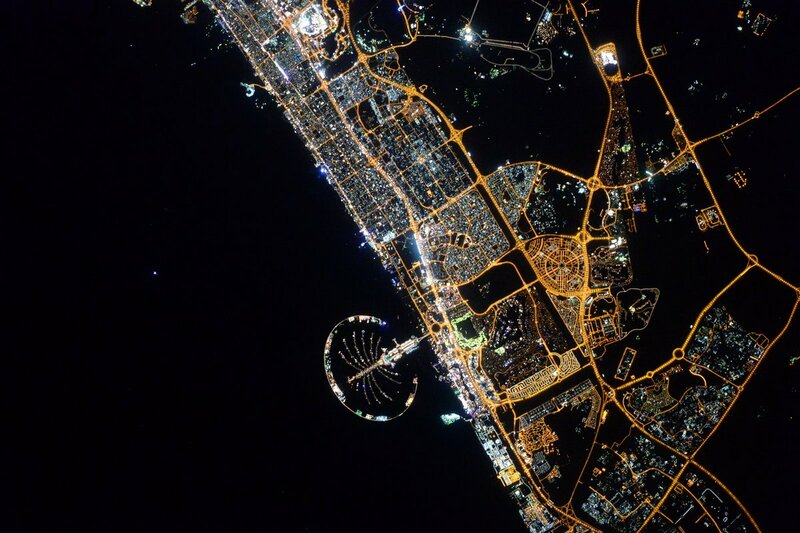 #UAE General Civil Aviation Authority announced that all #airline flights to Pakistan will be suspended until further notice.